Because I am usually running around and travelling to different places, I decided to pick up the coffee's to-go. I ordered a small latte from each place as this is my go-to drink. I have also visited all of these coffee shops before so used my past knowledge when trying to find my idea of a pretty good cup of coffee. 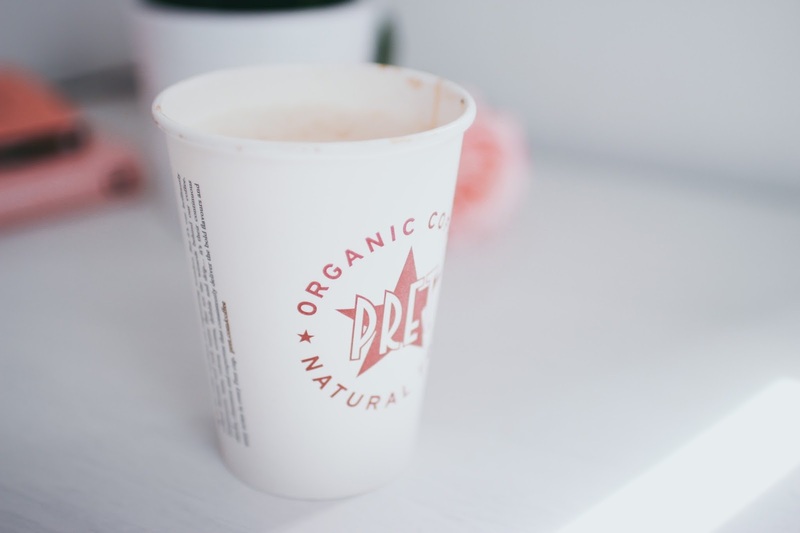 Taste 3/5 – The Pret coffee is what I would describe as a no-nonsense coffee, it taste good but there isn’t anything stand out or special about it. It has a strong bitter and earthy taste. Value for money 3/5 – In terms of value for money the cost was £2.45 which is pretty reasonable for the high street chain. Although, you can pay a lot cheaper at Greggs and I personally think has a similar taste! Aroma 2/5 - Just a typical coffee aroma that you would expect from a latte. It was very mild with nothing special about it. Sustainability 3/5 - I didn’t out right notice any key messages from Pret about Fair trade. They do offer a 50p discount for customers bringing their own reusable cups which I think is good! Taste 4/5 – This was one of my favourites for taste, it was more creamy and sweet than some of the other coffees that I tasted. I like this as I don’t need to add any extra sugar or syrups to make me enjoy it. Value for money 4/5 – The cost was £2.35 for a small latte which is again about the average price. Yet, cheaper than Pret and I prefer the taste of this one. Aroma 2/5 - The scent of the coffee doesn’t really stand out to me for this one. It has the typical coffee scent. However, I’d say it is a lot more on the weaker side. 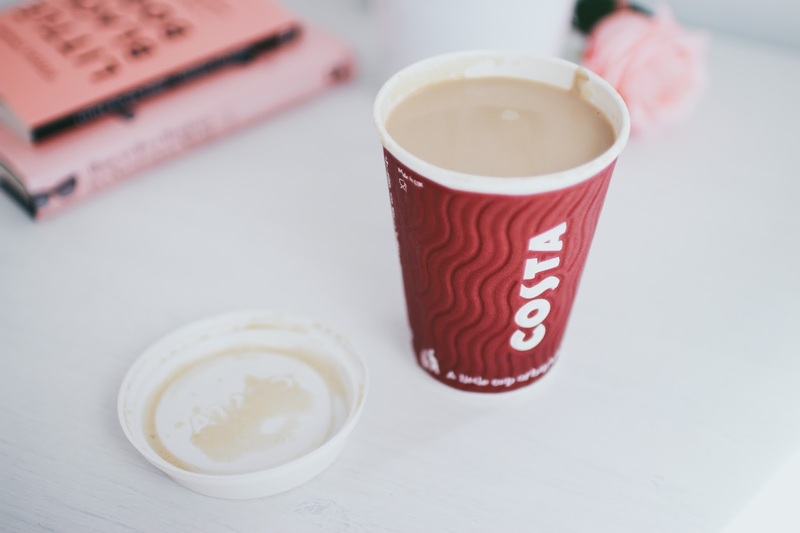 Visual Appeal 2/5 – I wouldn’t say Costa was the most appealing, there was not much foam and had a light colour which shows it is quite milky. The take away cup does give a great feel, but it still burnt my hand trying to carry it around and rush for the tram. The customer service in Costa this time was great. However in the past I have had to remake my drink as someone else has taken it! Sustainability 4/5 – Costa don’t have fair trade affiliation but in store and online to can read all about the Costa Foundation which provides farmers and communities with support and access to education. Taste 3/5 – I would say the taste of Greggs latte is earthy. It is a good standard everyday coffee, and perfect if you’re in need of a quick coffee fix. Value for money 5/5 - The cheapest cup of coffee out of them all at £1.85. Which I think is amazing as I would rate the taste just as good as Pret a Manger! Also, for the same price as a coffee from other high street chains, you can grab yourself a donut or breakfast sandwich too! Aroma 3/5 - The scent didn’t really stand out to me as anything special, it was the typical coffee scent! 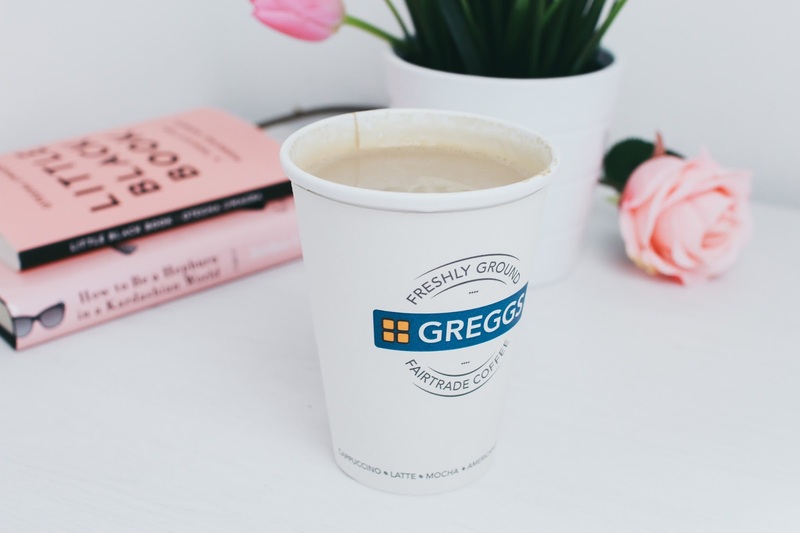 Visual Appeal 4/5 – The Greggs cups are minimal and simple. 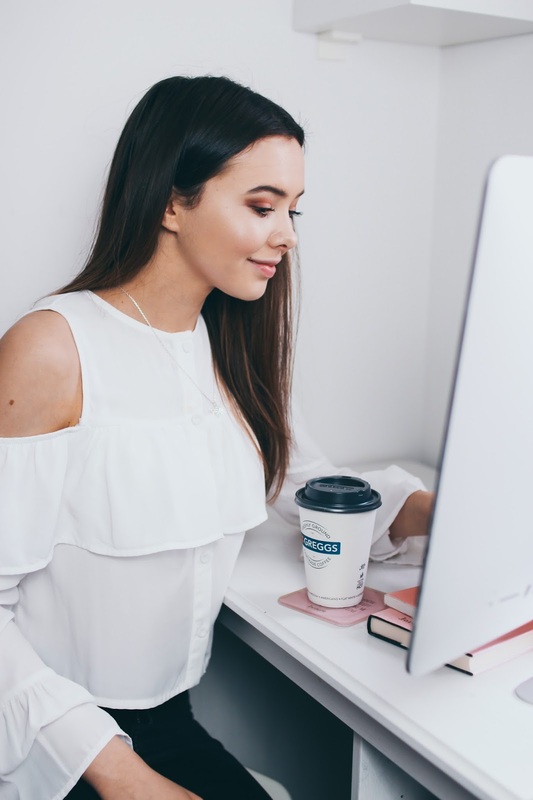 Although, not many people would choose to Instagram their Greggs cup of coffee. I like how it’s so quick to be served in Greggs, and they focus on serving you. 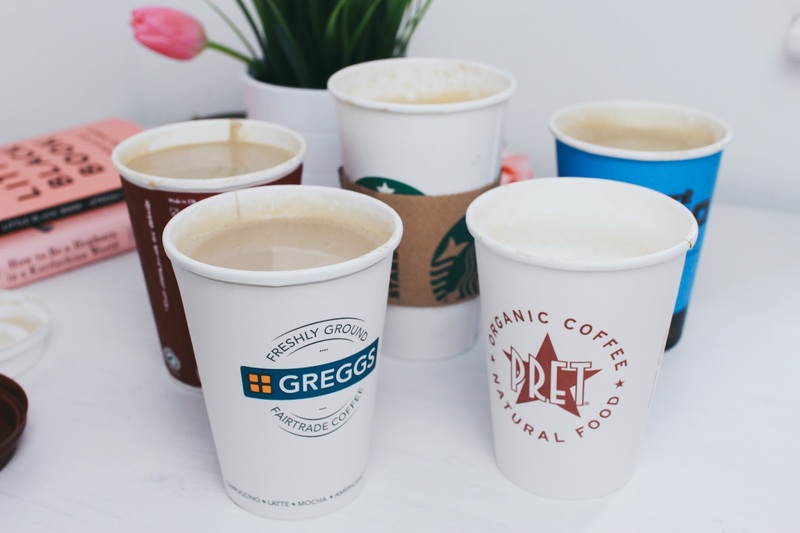 Sustainability 5/5 - Greggs is Fair-trade certified with all of their drinks and were Fairtrade's high-street partner for Fairtrade Fortnight 2017. Taste 4/5 – Nero delivers a great taste, its rich but not overly. I find their coffee sweet on it’s own. Definitely, up there as one of my favourites. It includes two shots of espresso and there was a good amount of foam on the top which is my favourite. Value for money 2/5 - At £2.70, Nero was the most expensive out of them all. Aroma 4/5 - The coffee smelt richer than the others, but it was pleasant smell. Visual Appeal 3/5 - Again, it’s hard to judge the coffee art in take away cups. But takeaway coffee cup wise - I’d say the blue coffee cups stand out to the eye. 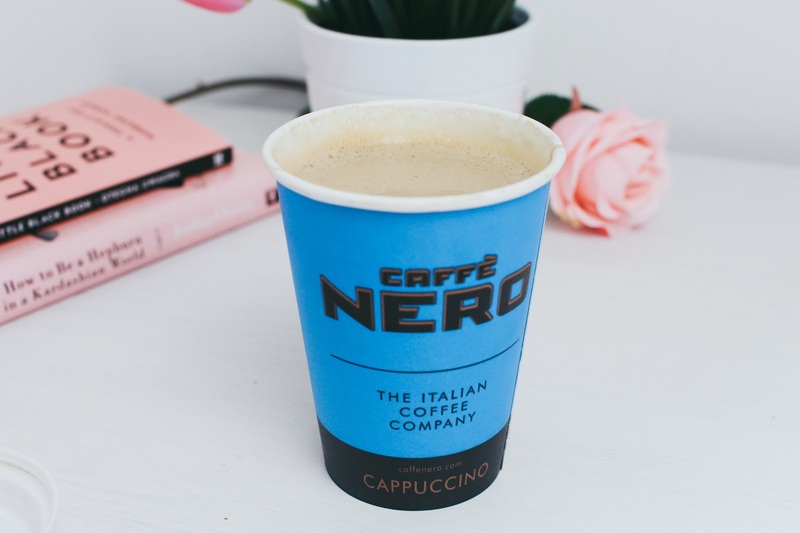 Sustainability 3/5 - Nero work with Rainforest Alliance to support the environment and community of the farmers and where their coffee is grown. However, it is not Fair-trade certified. 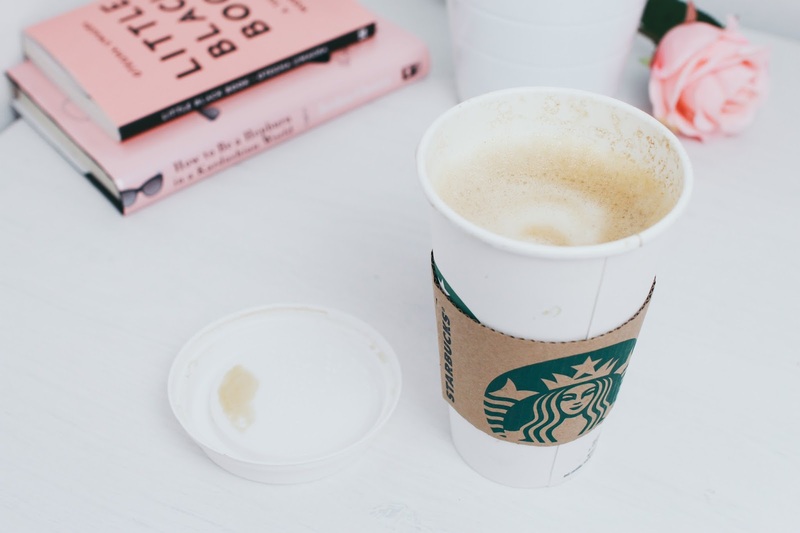 Taste 2/5 – I find the taste of the Starbucks latte a little floral, which feels like a weird way to describe a coffee. I’m not a big fan of the coffee in Starbucks as it makes me feel dizzy after drinking. Value for money 4/5 - Surprisingly, I thought Starbucks was going to be on the more expensive side. However, it was £2.25 for a Tall. Aroma 4/5 - I like the scent of Starbucks as it is floral and sweet. I just wish it tasted as good as it smelt! Visual Appeal 5/5 – Starbucks wins for the most appealing. They are known for their cups which you can see all over instagram. I also like how they change the look of their cups in different seasons! They also write your name on your cup in Starbucks which is personal and makes it easier to receive your drink when it is busy. Sustainability 5/5 - Starbucks is accredited by Fairtrade. Hopefully this post gives you an idea of what latte to go for next time you’re in town. I understand that this is based on my own personal tastes and opinions so you should definitely try them out for yourself and see which one you prefer! Let me know in the comments if you have a favourite! *This post is sponsored by Greggs.